In the spirit of our Holy Father who so effectively embraces everyone, we Bishops must open our arms to all. Here is an address from Cardinal Peter Turkson, the President of the Pontifical Council for Justice and Peace, when he spoke in Portugal on Friday to 75 bishops from all over the world about Pope Francis’ encyclical Laudato si’. The text is provided by Vatican Radio. · First, an encyclical is a circular letter addressed by the Bishop of Rome, initially to his fellow Bishops and then more widely. Having received it, we should make it our own and share it effectively with all our people. · Secondly, as the head of several corporations in your respective diocese, you are also a CEO. So please listen as an employer and investor. · Thirdly, may I suggest that you prepare to enter into dialogue with the public and private sectors in order to help bring about the huge action needed to address the world’s environmental issues. Your dialogue should be with business-men and -women, bankers, policy-makers and politicians in your regions; and not only with the elite but also with popular leaders, entrepreneurs and innovators amongst the poor, to all of whom Laudato si’is addressed. 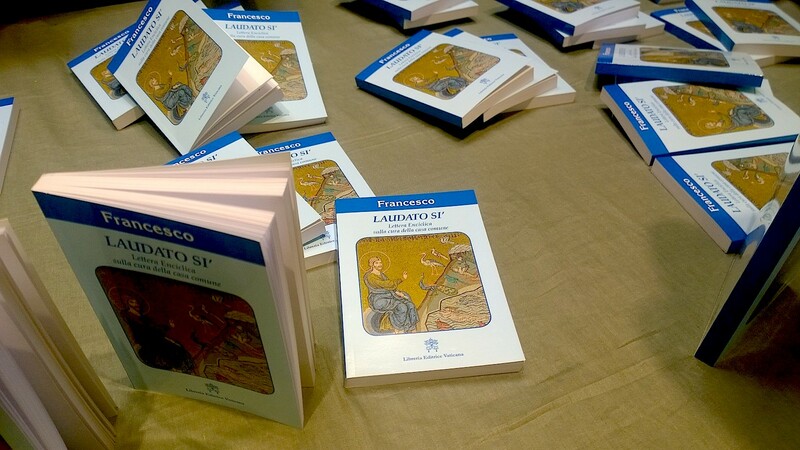 · Fourthly, Pope Francis fashioned his text in dialogue with Conferences of Bishops around the world, and so now is an opportunity for Bishops to enter into dialogue with Laudato si’. With the same four attitudes, I invite you to read the Message of the Holy Father to the World Economic Forum (Davos, 20-23 January 2016) which I had the honour of delivering to a plenary session on Wednesday. My remarks will begin with an overview of Laudato si’. I will then turn to some particular issues that I recommend for your special attention as Bishops. These are Contemplation; Conversion; Conversation and Dialogue; and Care. In the last of these, I will make explicit connections to the magisterium of Catholic social teaching. Everyone must act responsibly to save our world—from individuals who recycle and use energy sparingly, to enterprises reducing their ecological footprints, to world leaders setting and enforcing ambitious targets to reduce the use of carbon. Moreover, the way we interact with the natural world is deeply related to how we interact with our fellow human beings. In fact, there is no valid way to separate these two aspects. Therefore all decisions about the natural environment are ethical decisions, just as social options have environmental consequences. This is inescapable, and it has important implications. It means that technology and business must be held to transcendent anthropological and moral norms. They must be oriented toward the common good, in full human solidarity—both with everyone alive today and with people not yet born. “We are faced not with two separate crises, one environmental and the other social, but rather with one complex crisis which is both social and environmental. Strategies for a solution demand an integrated approach to combating poverty, restoring dignity to the excluded, and at the same time protecting nature” (§139). So Pope Francis asks us to hear the cry of the earth and the cry of the poor, and to respond to both in an integrated manner. Laudato si’ takes full cognizance of contemporary science—this has not typified Church discourse in the past. The Encyclical speaks extensively of the natural world —until now this has been a modest theme in the Church. And of course, it deals extensively with economics and business, politics and global governance. By bringing these perspectives together with their impact on concrete human experience, Laudato si’ wishes to persuade the world that the moral dimension must be omnipresent. As I suggested above, there is no morally neutral decision about business and market policies or about the use of technologies in resource extraction. All decisions affect both the natural world which is our common home, and all of us inhabitants of that common home. All this signals a fresh, novel and challenging engagement within the Church and of the Church with the world. I think the most important thing to do is read the encyclical oneself and give leadership and support to applying it in one’s own regions. Each of you must have ideas about this. Where you exercise responsibility, which charism is most needed? Is it to promote the realization that we are one human family, and each and every person has full human dignity? Is it to fight against slavery, forced migration, violence against children and women? Is it to ensure that business activity contributes to good living for all—to integral human development? It may surprise you that I begin with contemplation. The Encyclical covers so much historical, scientific, economic and socio-cultural ground, that it might give the impression that the Church wishes to lead the world in expertise in those areas. But that is not the Holy Father’s intention. 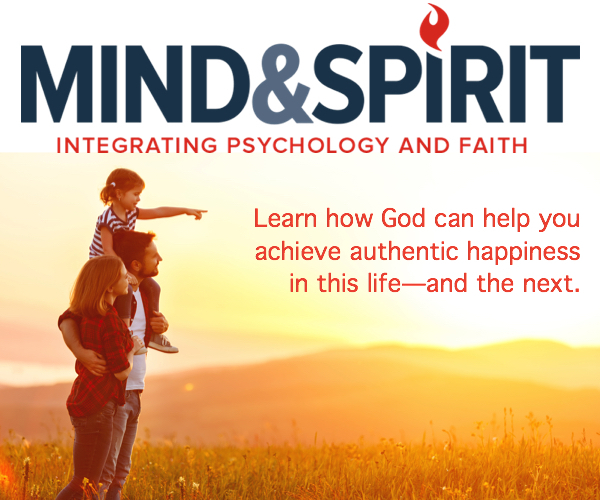 While acknowledging the importance of those pursuits and the relevance of the most advanced thinking in our current times of crisis, what the Church offers are its great spiritual resources to lead the People of God and to inspire all people of the world in attitudes of wonder, awe, gratitude, compassion and solidarity. What is required is an act of repentance on our part and a renewed attempt to view ourselves, one another, and the world around us within the perspective of the divine design for creation. The problem is not simply economic and technological; it is moral and spiritual. A solution at the economic and technological level can be found only if we undergo, in the most radical way, an inner change of heart, which can lead to a change in lifestyle and of unsustainable patterns of consumption and production. A genuine conversion in Christ will enable us to change the way we think and act. Pope Francis insists on dialogue “as the only way to confront the problems of our world and to seek solutions that are truly effective”. Authentic dialogue is honest and transparent. It insists on open negotiation based on the principles which the social teachings of the Church vigorously promote: solidarity, subsidiarity, working for the common good, universal destination of goods, and preferential option for the poor and for the earth. Real dialogue would not allow particular interests of individual countries or specific groups to hijack the negotiations. Accordingly, in chapter 5 of Laudato si’ laying out lines of approach and action, every one of the five sections has the word “dialogue” in its title. A great innovation in Laudato si’ is that Pope Francis advocates something more than stewardship. The word “steward” is used only twice in Laudato si’, “administrador” only once. Instead, Pope Francis talks about care, cuidar andcustodiar. It is in the title, “Care for our Common Home, el Cuidado de la casa común,” and is repeated dozens of times. Caring for our common home requires, as Pope Francis says, not just an economic and technological revolution, but also a cultural and spiritual revolution—a profoundly different way of approaching the relationship between people and the environment, a new way of ordering the global economy. To speak so holistically locates Laudato si’ in the great tradition of the social encyclicals. Pope Leo XIII responded to the res novae or “new things” of his time, when the industrial economy was only a century old and posed many dilemmas, especially for workers and families. So too, Pope Francis is responding to the “new things” of our day, when a post-industrial, globalized economy is posing many new dilemmas for humanity and for the planet. Laudato si’ is in continuity with Rerum Novarum and the whole tradition of Catholic Social Teaching. · Technologies need to be assessed for their contribution to the common good. The Encyclical gratefully acknowledges the tremendous contribution of technologies to the improvement of living conditions. Yet it also issues a warning about the misuse of technology, especially when it gives “those with the knowledge, and especially the economic resources to use them, an impressive dominance over the whole of humanity and the entire world” (§104). Moreover, markets alone “cannot guarantee integral human development and social inclusion” (§109). · Solidarity with all, especially the marginalized and the poor, is a hallmark of our Holy Father’s papacy from the earliest moments, and it marks the Encyclical as well. The text speaks with great compassion of dispossession and devastation suffered disproportionately by the poor, because of where they live and due to the lack of power to escape or to protect themselves. Pope Francis embraces all people. “Let us not only keep the poor of the future in mind, but also today’s poor, whose life on this earth is brief and who cannot keep on waiting” (§162). · Solidarity must also apply between generations: “we can no longer speak of sustainable development apart from intergenerational solidarity” (§159). The Pope’s key question for humanity is put in those very terms: “What kind of world do we want to leave to those who come after us, to children who are now growing up?” (§160). · Human dignity underpins the extensive treatment of “The need to protect employment” (§124-29). Work is a noble and necessary vocation: “Work is a necessity, part of the meaning of life on this earth, a path to growth, human development and personal fulfilment” (§128). Work is how human dignity unfolds while earning one’s daily bread, feeding one’s family, and accessing the basic material conditions needed for flourishing every day. Further, it should be the setting for rich personal growth, where many aspects of life enter into play: creativity, planning for the future, developing our talents, living out our values, relating to others, giving glory to God. It follows that, in the reality of today’s global society, it is essential that “we con­tinue to prioritize the goal of access to steady employment for everyone,” no matter the limited interests of business and economic reasoning that excludes the human and social costs. (§127) It is wrong when some businesses simply replace workers with machines on the basis of efficiency and utility, viewing human beings as interchangeable with machines as mere factors of production. Clearly, the obsession is to gain still more profit, but at the cost of less and less decent work. Do individuals thrive from being unemployed or precariously hired? Of course not. Does society benefit from unemployment? Of course not. In fact, we everywhere witnesses far too many people who cannot find worthwhile and fulfilling work. We should not be surprised when unscrupulous people with demented fantasies recruit such idle individuals into criminality and violence. · God has exercised subsidiarity by entrusting the earth to humans to keep, till and care for it; this makes human beings co-creators with God. Work should be inspired by the same attitude. If work is organized properly and if workers are given proper resources and training, their activity can contribute to their fulfilments as human beings, not just meet their material needs. It can uphold the full human dignity, the integral human development, of workers. The principle of subsidiarity, a mirror of God’s relationship to humanity, requires restraint and an acceptance of the humble role of a servant leader. · Proper practices of stewardship result in sustainability of the natural environment and of human systems. The problem, Pope Francis notes clearly, is that the logic of competition promotes short-termism, which leads to financial failure and devastation of the environment. “We need to reject a magical conception of the market, which would suggest that problems can be solved simply by an increase in the profits of companies or individuals” (§190). The Holy Father is not anti-business, as his messages to the World Economic Forum clearly attest. But what he decries is an obsession with profit and the deification of the market. Profit has its role in sustaining an enterprise and allowing it to improve and innovate; but we need sustainability, and Pope Francis calls upon business to lead by harnessing its creativity to solve pressing human needs. “More diversified and innovative forms of production which impact less on the environment can prove very profitable” (§191). · Justice must also reign over the distribution of the burden of environmental rehabilitation. Those who have contributed most to greenhouse gas emissions and have benefitted most from the industrial period, should now take the lead and contribute more to the solution than those whose standard of living is just beginning to rise. As a first step, they must be ever more honest about so-called externalities or spillover effects, since finally nothing falls outside of the accounts of our one shared common household. I have provided you with an overview of Laudato si’, some key perspectives on its contents, and a demonstration of its relationship to important principles of Catholic social teaching—the common good, human dignity, justice, solidarity, subsidiarity and sustainability. All these come together in an integral ecology “which clearly respects its human and social dimensions”. This is necessary because “everything is closely interrelated, and today’s problems call for a vision capable of taking into account every aspect of the global crisis” (§137). In this regard, as Bishops, we occupy a privileged position. No facet of our world is too great or too small, too lofty or too plain, for us to take it on, to pray over it, and to bring it into constructive dialogue with others. We can promote this integration and encourage “profound interior conversion” (§217) in every aspect of our mission. For the challenge is of a new order. Humanity did not descend into the crises of today by doing our worst (crime, violence, war) but – with great enthusiasm for science, technology, progress and prosperity – while doing our very best. Pope Francis, Message to the 2016 World Economic Forum, 30.12.2015. The technocratic paradigm is the conviction that all reality – including human life – consists of objects which people can endlessly manipulate for the sake of profit and without the slightest ethical consideration. This alliance between technology used as a means of power, and an economy obsessed with the short-term maximization of profits, is spread everywhere by globalization and tends to prevail over the political dimension. Evangelii Gaudium § 231-33. Cf. Laudato si, § 110, 201. Benedict XVI, Caritas in Veritate, §48. John Paul II and Bartholomew I, Common Declaration on Environmental Ethics, 10.6.2002. Pope Francis, Address on Environmental Justice and Climate Change, 11.09.15. Benedict XVI, Caritas in Veritate, §32.